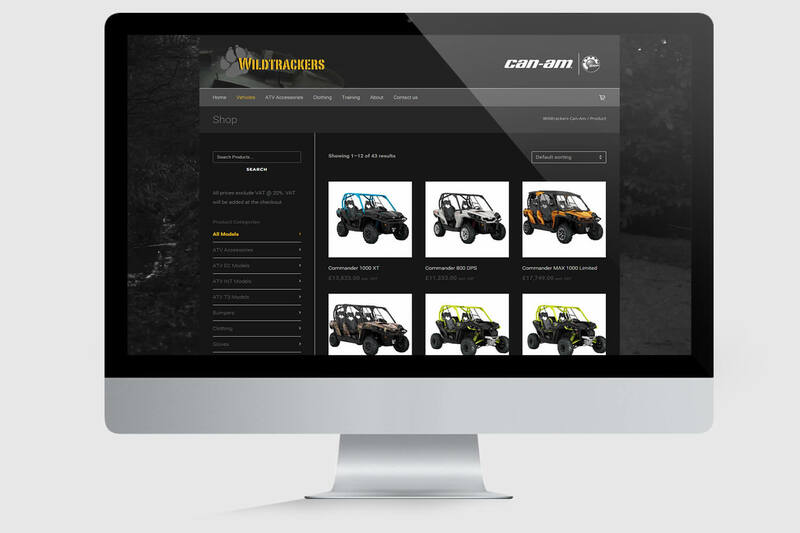 The Wildtrackers Can-Am dealership is uniquely placed to be able to offer you correct advice on ATV/SSV selection for the roles you undertake. 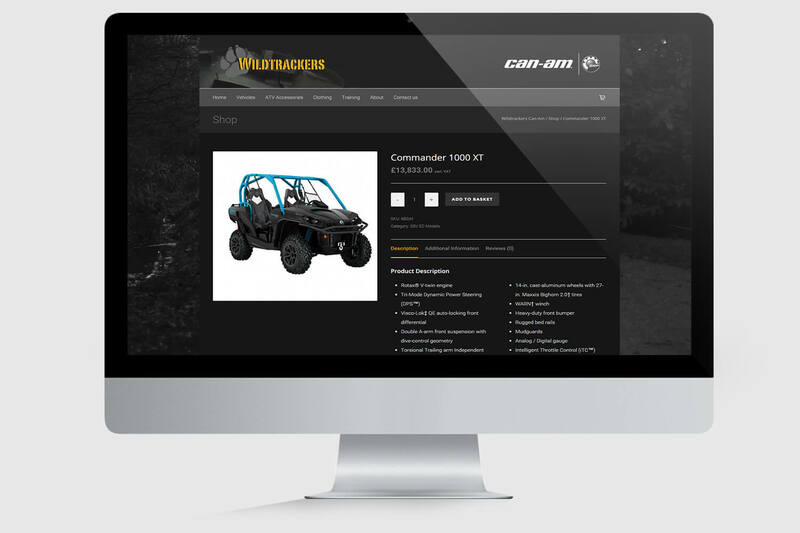 They have been ATV and SSV users and trainers to the military, utilities, councils and private individuals for the past 20 years. 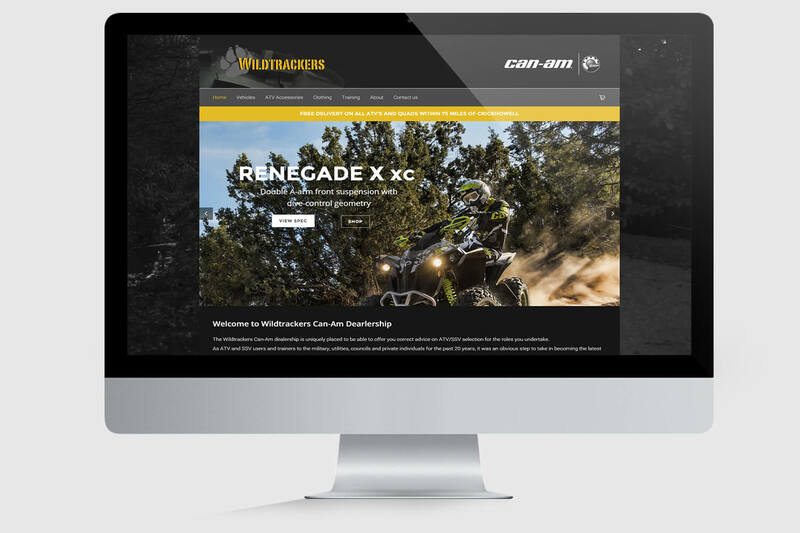 As a previous client, Wildtrackers contact us to create them an eCommerce website to help launch their new business as a Can-Am dealer. 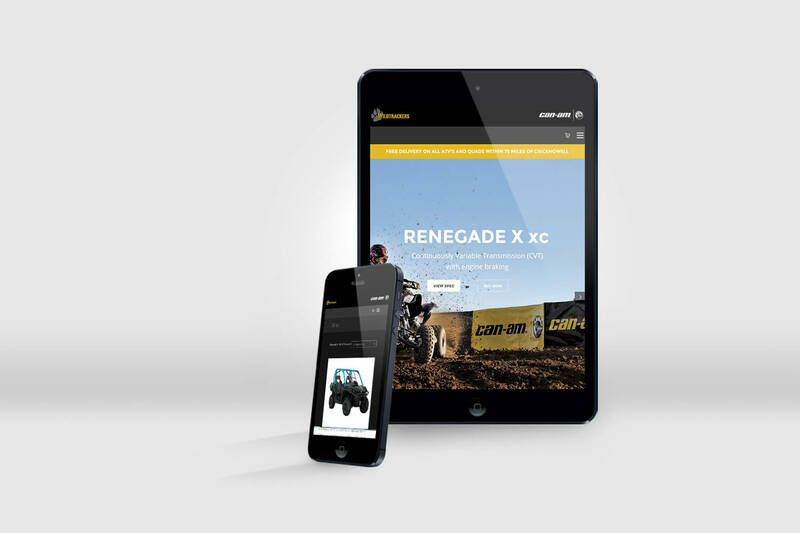 Using a blend of their existing branding and the Can-Am brand we developed a fully responsive website that users can now use to purchase anything from gloves and helmets to a brand new ATV or SSV.